My daughter, a self proclaimed bibliophile, was in heaven! I had never seen a larger collection of fashion books in my life. I wanted to bring a sleeping bag and stay the night. 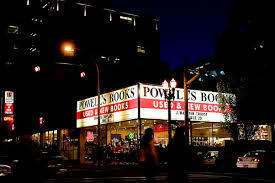 Anyway, I digress … while at Powell’s I was able to peruse and buy some books I had my eye on. 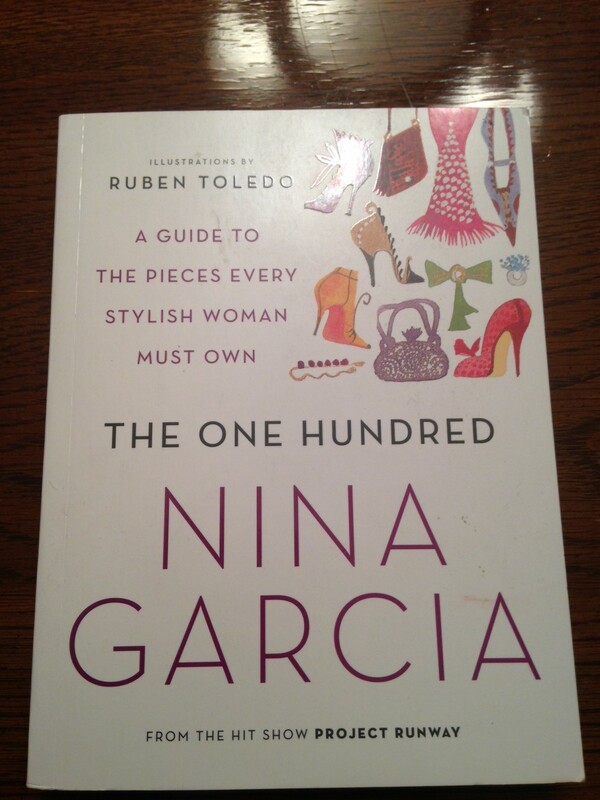 The first one I read was by Nina Garcia, of Project Runway fame, called The One Hundred: A Guide to the Pieces Every Stylish Woman Must Own. I’m always a little hesitant about books that tell you what to wear. I don’t like the MUST OWN command, it just sounds so mean. Which if you watch PR you know that Nina can indeed be mean! I must say that this book was entertaining, informative and easy to read. One of the best parts of the book was the illustrations; they were amazing! 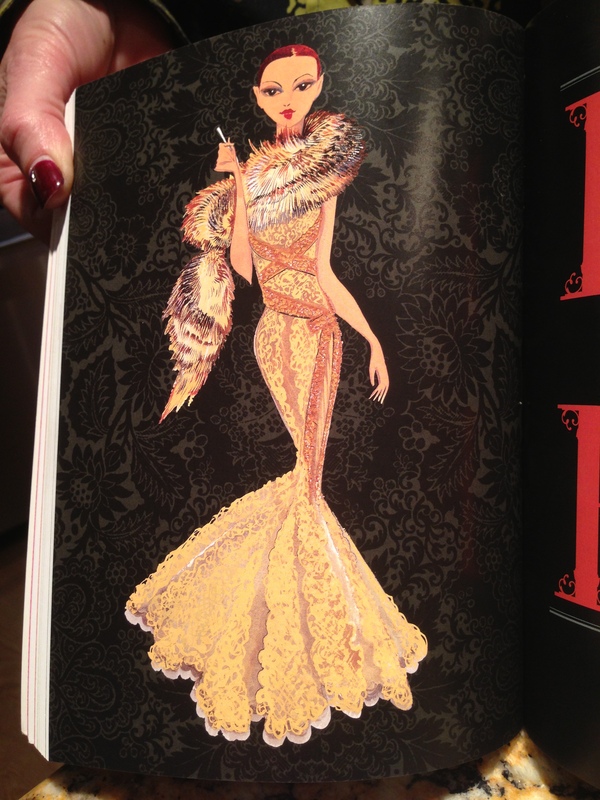 I love Ruben Toledo’s fashion illustrations, and this book had them on every page. I am a huge fan and never tire of his art. Garcia knows what she’s talking about as a fashion editor of Marie Claire and formerly of Elle magazines. In addition to the beautiful pictures, Nina goes on to explain the history of an item, if that is pertinent, like in the case of the pearl necklace. 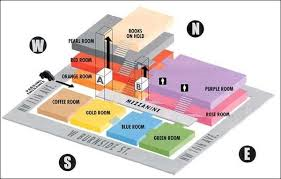 It tells you how Jacques Cartier traded a double strand of cultured pearls for the Manhattan store bearing his name in 1916, or that the fake strand of pearls Jackie O paid $80 for, sold at auction for $211,500 in 1996. I was happy that I could take credit for owning roughly 75- 80% of her top 100 must have items… not to bad at all. I’ve made it this far with out a bikini and Minnetonka moccasins and haven’t suffered too much. This is a great book whether fashion is your thing or not. What fashion books, if any, are on your shelf??? 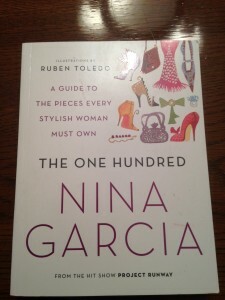 The book can be purchased at ninagarcia.com. Enjoy!